â��S. S. Controlsâ�� brings in superior quality Thyristor Power Controllers in the international market. The Microprocessor Based Thyristor Power Controllers made available by us, have single, two and three phase A.C. SCR power controllers for resistive inductive loads. 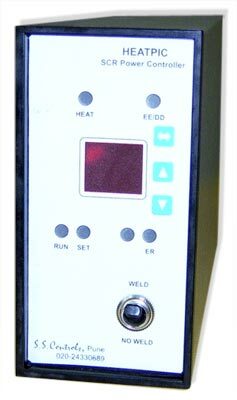 These Thyristor Power Controllers can also be availed in analog version. They find numerous applications in A. C. power control of inductive and resistive loads of any capacity. Apart from the above fact, the company is identified as one of the chief Thyristorised Power Controllers Manufacturers in India. Thyristor (SCR) Power Controllers / Power Control Circuits. Microcontroller (Digital) / Analog version available.